Now that you've got your Samsung Intercept, it's time to accessorize. You'll likely want cases, screen protectors, chargers, maybe a spare battery, Bluetooth headset, memory cards -- you get the idea. You'll definitely want to consider a case or screen protector for the Samsung Intercept's touchscreen. For listening to music, you'll need wired headphones or a stereo Bluetooth headset. To Power your phone, you'll need a battery or charger. To sync the Samsung Intercept, you'll need a microUSB cable. We've got handy guides available to help you find the best accessories for your Evo. The Android Central Store is your one-stop shop for all Android accessories. 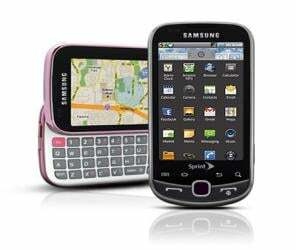 We have the largest and widest selection of items and you can be assured that what you're getting will work with your Android phone, be it a battery, charger, case, screen protector, headset, or any of the other hundreds of items in the store. New items are being added all the time and most items are available with super-fast same-day shipping. So check it all out at the Android Central Store.